Critics say the law could worsen  attacks on freedom of expression and negatively affect the business prospects  of technology companies. Drafted by the country’s Ministry of Public Security, the law was passed by the National Assembly on June 12, 2018 despite the rare public opposition expressed by some lawyers and netizens. The legislation goes into effect on January 1, 2019. The law also places significant regulatory requirements on foreign technology companies. 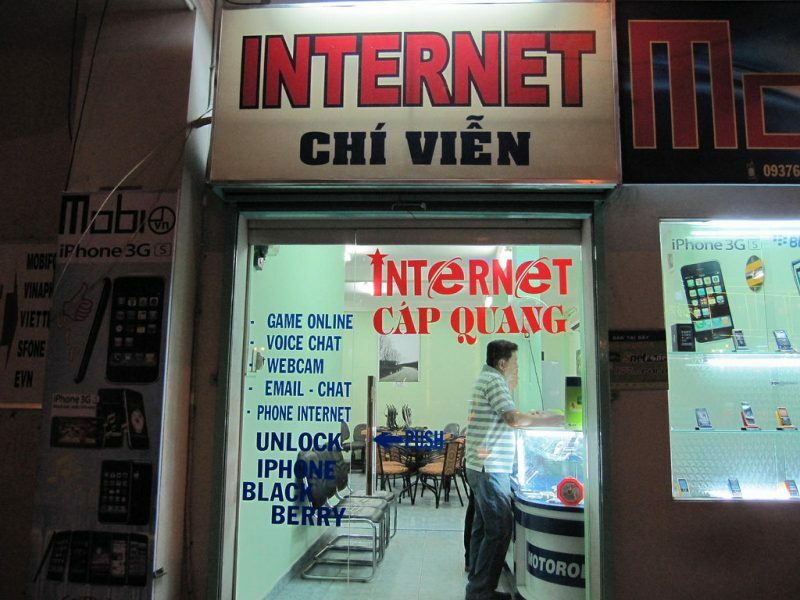 Similar  to China’s Cybersecurity Law passed  in 2017, Vietnam’s new law requires Internet companies to store data locally and establish headquarters or representative offices in Vietnam. “not provide or stop providing services on telecommunication networks, Internet, and value-added services for organizations and individuals that publish on cyberspace” content prohibited by the Vietnamese government. “…information that propagandizes, urges, campaigns, incites, threatens, causes division, [or] entices people to gather and cause disruption” (Articles 8 and 15). …these provisions will result in severe limitations on Vietnam’s digital economy, dampening the foreign investment climate and hurting opportunities for local businesses and SMEs to flourish inside and beyond Vietnam. Amnesty International calls on your company to challenge the draft law and make known to the Vietnamese government your company’s principled opposition to implementing any requests or directives which violate fundamental human rights. #VIETNAM : @OHCHRASIA  is concerned that this law may be used to further crack down on dissenting voices in the country. We encourage the Government of Viet Nam to provide an enabling environment where freedom of expression, both online and offline, is protected. On June 10, tens of thousands of Vietnamese rallied across the country to protest the two bills — the cybersecurity bill (which was then still in draft) and a law on Special Economic Zones  (SEZ), a proposed regulatory scheme  that would loosen market, investment and communications restrictions in areas of the country where foreign businesses are located, in an effort to boost the economy. Demonstrators were focused primarily on SEZs, which many believe will allow China to exploit the country’s resources. Activists estimated that more than one hundred people  were arrested at the protests, among them a US citizen, William Nguyen . On June 11, 74 lawyers submitted a petition  to the parliament criticizing the loopholes in the cybersecurity bill which they said violate the human rights provisions enshrined in the country’s Constitution. They attached an online petition signed by more than 40,000 citizens calling on the Parliament to reject the bill. Legislator Nguyen Lan Hieu wanted  authorities to specify the agency responsible for deciding whether a piece of online content is deemed illegal and suggested that this should be left in the hands of the courts. Despite the government’s claims, control is at the heart of the new legislation. Before the passage of the Cybersecurity Law, Vietnam is notorious for using  vague laws to persecute individuals accused of conducting “anti-state propaganda”. The new law, once it takes effect next year, could legitimize an intensified crackdown  on groups and individuals who have been using the Internet to promote religious freedom, environment protection, democratic reforms, civil liberties, and peaceful activism.